I have lived in Scotland for all 23 years of my life, having visited Edinburgh millions of times, I thought I knew the place. However, when two of my camp friends visited me at the start of the year I realised that I had actually had no idea of 'cool' places to take them. 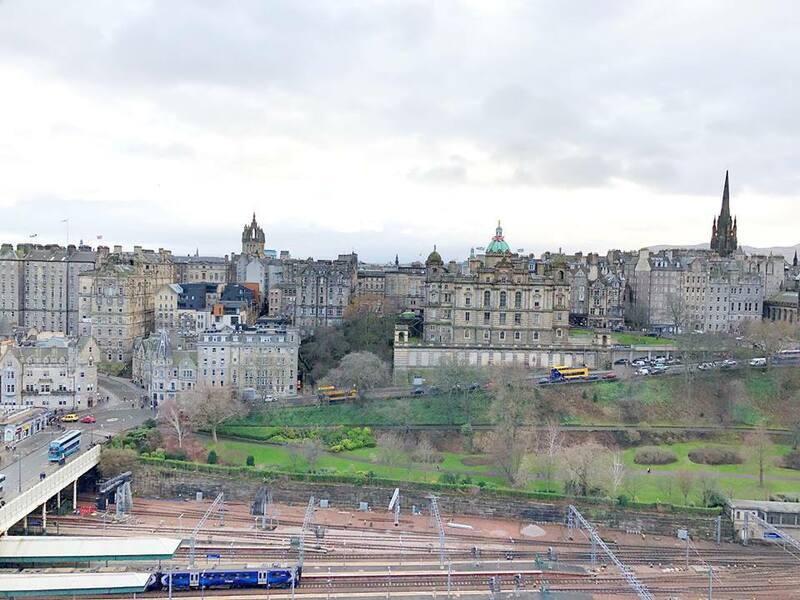 When I was contacted to do a collaboration to find some exciting bars, tourists attractions, restaurants and hotels in Edinburgh I jumped at the chance. Over two weekends, I explored new places that 1. I had always wanted to go and 2. New places I found on my hunt. I went for places as I call a little 'hipster', to places that were a little classier. The first place I went to was Hula Juice Cafe, being gluten-free I've always wanted to give this place try. The cafe is not only gluten but vegan as well, which is perfect as I try to limit my dairy intake. The food was amazing, it has a range of breakfast and brunch options, although the avocado on toast was tempting, my sister and I shared an Acai bowl, in addition, I had a matcha tea whilst my sister had a smoothie. The menu was clearly labelled with a GF which made it easy for me to know what was gluten free. 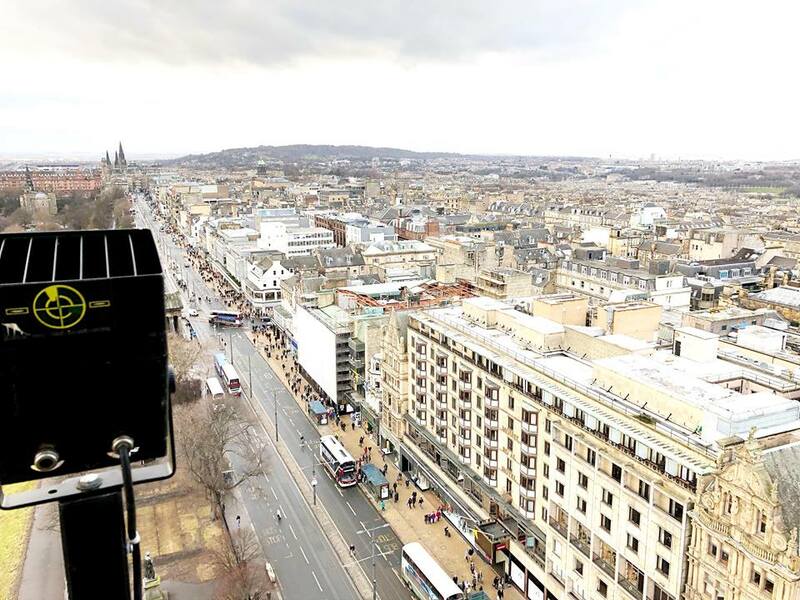 It is based in the Grassmarket so it is in the centre of a touristy spot. The staff were so friendly and it was a lively atmosphere, the place was very insta worthy. It is definitely somewhere that I would return to. The second place I visited was The Refinery, located in St Andrews Square, a little more upmarket. Again it was somewhere I heard a lot of great things about, so I thought it would be perfect. First of all, the staff were super helpful and gave me a gluten free menu when I went in. This gives them a massive thumbs up already, restaurants that have a separate gluten-free menu make it so simple for me to know what I can have, without having to search. Inside the decor was stunning, very rustic and a homely vibe, lots of plants and prints on the wall. Great space, great location and the food was amazing. I went with a chicken BLT , which was divine. On the side, we got a view cocktails (obvs), which again were stunning. Both Sarah and I said that we would both 100% go back. Moving along to bars, again I have gone with a 'cool' place and then a more classy place just to show you the difference in Edinburgh. First stop I went with was The Boozy Cow. located in Frederick Street, again somewhere so central. I have actually been here before, but it is one of my favourite places to go. They have some of the best cocktails, some cocktails that are so extra (which I love). The cocktails are visually pleasing, so cute and so insta worthy. The first cocktail I went with was the 'Painkiller', which was meant to be on fire, however, the bartender put the paper straw in and the straw went up in flames (LOL). So that had to be blown out quickly, I like to be extra but not set the bar on fire extra. The cocktail was a little strong but if you like it strong, go for it! Next cocktail I had was The Twizzler, very sweet, which I loved. It also came with a lollipop and a flying saucer, which made it 10x better. I've been before and would 100% go again, would completely recommend. The bathroom was by far my fav part, all about girl power! I then went a strawberry daiquiri, which would be perfect for a hot day, maybe not when it was snowing. Overall, I loved the atmosphere and it was a great location. 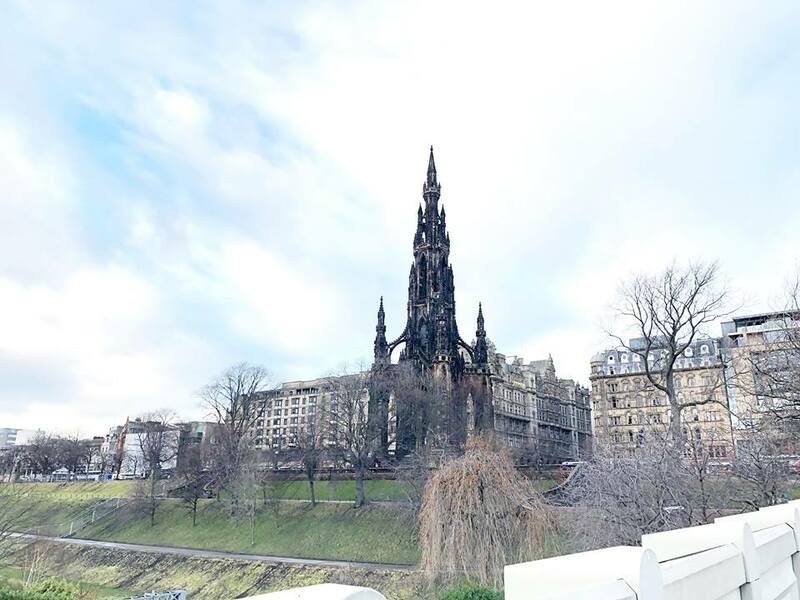 There are plenty of incredible tourist attractions around Edinburgh, you have the castle, the museum and Mary Queen Close, however, there is one thing that I have never been too; The Scot Monument. I honestly couldn't quite understand how you got up it, so I thought this would be the perfect opportunity to have a look. The entrance is on the left side of the building, and some good news, if you are a student you get in for cheaper. 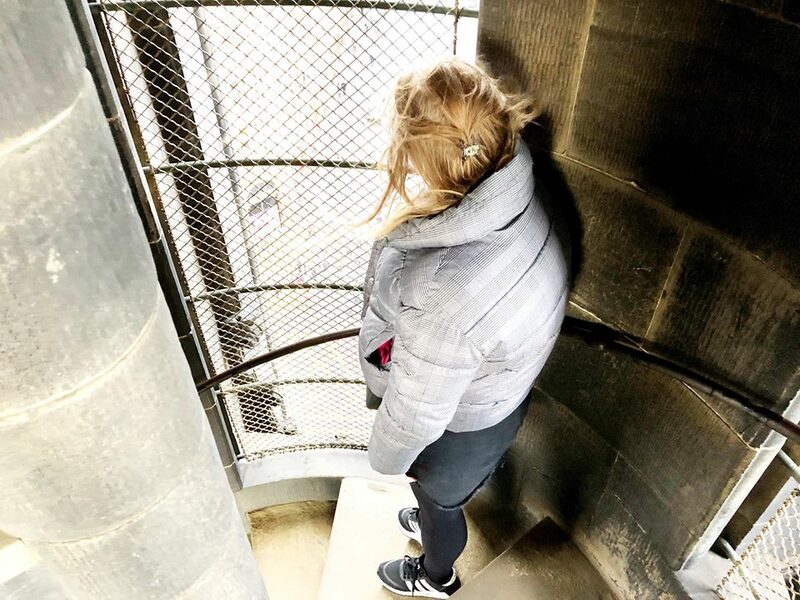 Biggest advice, if you have vertigo or claustrophobia I wouldn't suggest it. You have small staircases to go up and let just say if someone was to come down at the same time, prepare to get a little close with them. It was also a little windy near the top, so hold on to your hats. However, the views are stunning, which makes it all worth it. 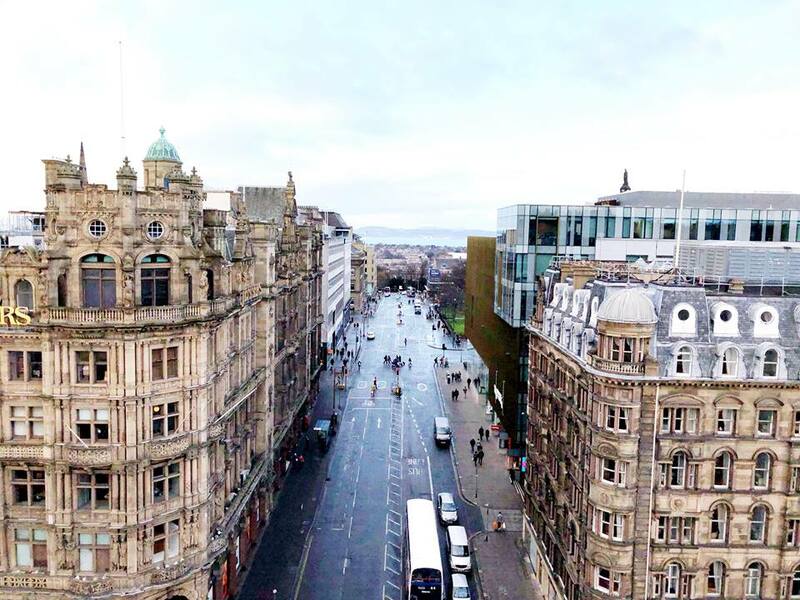 You can see across Edinburgh from so many different angles, and they are just breathtaking. It is something that if I had a visitor over again, I would definitely take them up the Scot Monument. 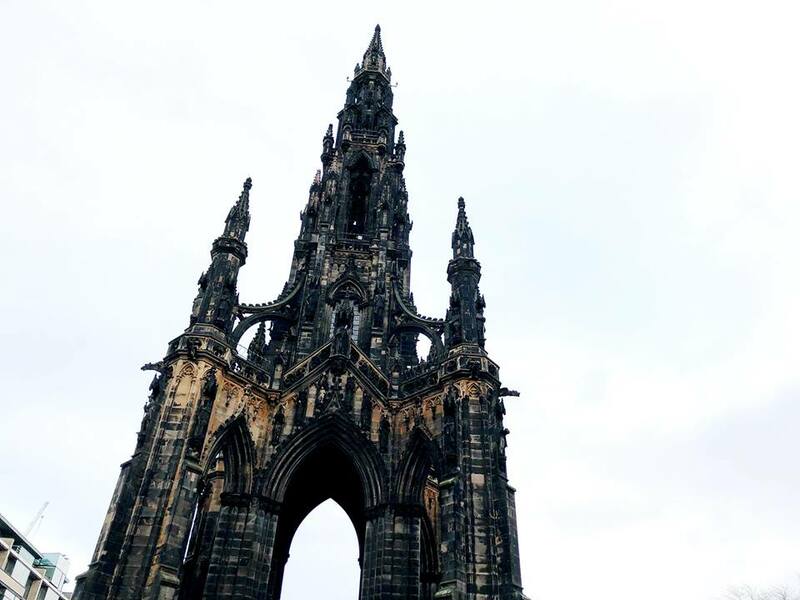 I really enjoyed exploring Edinburgh and can't to try new areas. Let me know if you have any good spots that I can go? ?